I had the bright idea to move my bed into the living room. I thought it would be nice to come home from surgery, be in the bed and still see my little T.J. running around the house. Well maybe later on that will work, but for now it’s not! These drains are so painful! When I lay down they burn so bad. So there is no laying down for me! I am sacked out on the couch! Like the title says…this is yet another not so appealing picture! I am still swollen and the pain meds still have me pretty much out of it. I have a huge ace bandage wrapped around my chest to protect my stitches and I need a shower..lol. And this too will pass!! 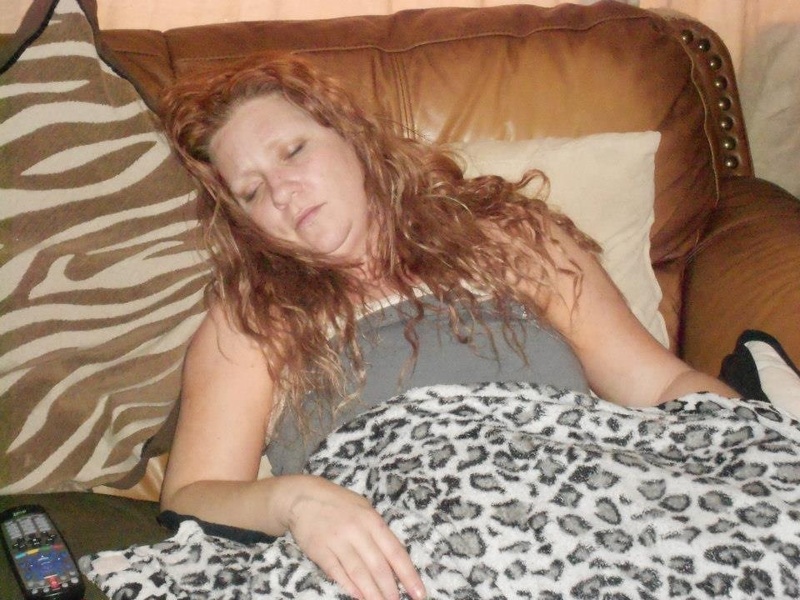 The recliner was my best friend after my mastectomy. I slept in in for a long time.